Modern Steak has two locations, one in Kensington and the other is in the historic Imperial Bank building on Stephen Avenue. Modern Steak is an Opentable’s top 100 restaurants in Canada for a big night out and YYC Steakhouse of the year 2016/17/18/19. The only steak house to own its own prize-winning black angus bull with benchmark angus, located in Warner, Alberta. Born in Alberta, raised in Alberta, harvested in Alberta... That's real Alberta beef! Modern Steak strives to serve the very best sustainably raised food possible with an eye for taste and quality. We support local family farmers who respect the land and the animals in their care. It means that whenever possible we use meat from animals raised without the use of antibiotics or added hormones. Happy cattle make for better steaks! We support Local Ranchers, Farmers & Artisans. 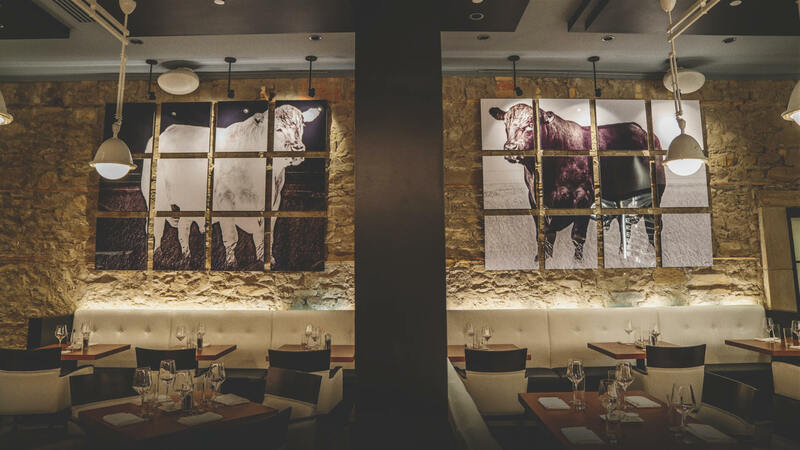 Modern Steak offers a rotating menu that focuses on local, seasonal and organic ingredients to create inventive dishes that reflect evolving culinary trends, coupled with an experience and atmosphere you will not forget. No children under the age of 12 admitted. Father’s Day & Mother’s Day minors allowed. Modern Steak has two locations, one in Kensington and the other is in the historic Imperial Bank building on Stephen Avenue. Modern Steak is an Opentable’s top 100 restaurants in Canada for a big night out and YYC Steakhouse of the year. The only steak house to own its own prize-winning black angus bull with benchmark angus, located in Warner, Alberta. Born in Alberta, raised in Alberta, harvested in Alberta. That's real Alberta beef! 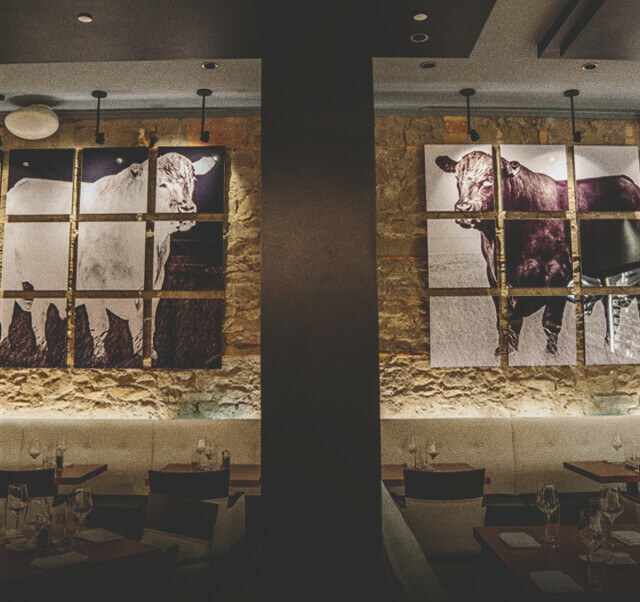 Modern Steak strives to serve the very best sustainably raised food possible with an eye for taste and quality. They support local family farmers who respect the land and the animals in their care. It means that whenever possible, they use meat from animals raised without the use of antibiotics or added hormones. Modern Steak offers a rotating menu that focuses on local, seasonal and organic ingredients to create inventive dishes that reflect evolving culinary trends, coupled with an experience and atmosphere you will not forget. No children under the age of 12 admitted. Father’s Day & Mother’s Day minors allowed.